I know there are women, unlike myself who, when nursing have issues with their milk supply. Anytime I’ve noticed a drop in my supply I’ve done several things. A lot of these things I’ve began doing I’ve read on websites like Kellymom.com or tweets from Lansinoh or La Leche League. Usually, my supply drops if I skip a meal or eat less than usual. 1. 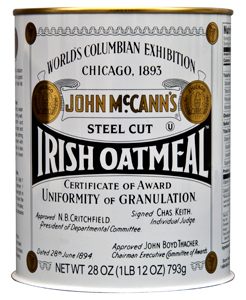 For breakfast (daily) I eat one serving of oatmeal porridge made with McCann’s Irish Steal Cut Oats. Instant oatmeal is not as good for milk production as the steal cut ones. We usually pick up this can from Trader Joe’s for like $6.99. 2. 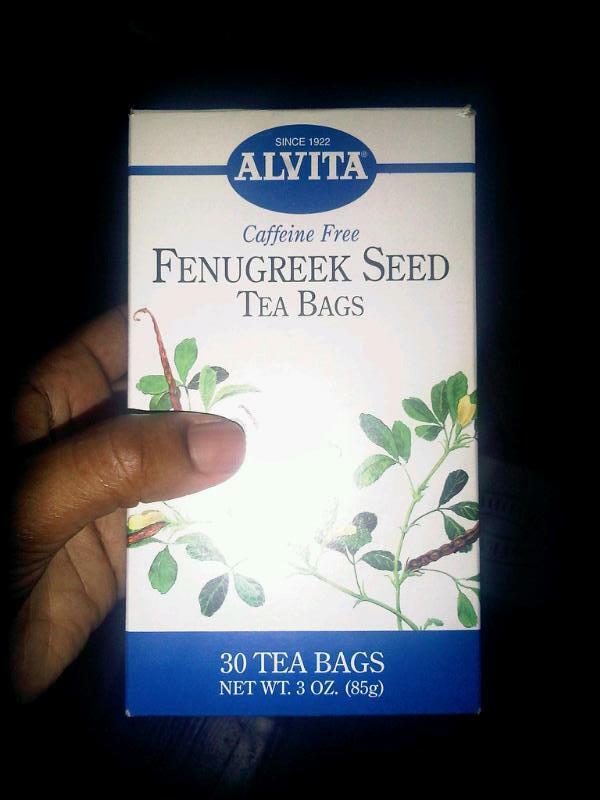 I drink a 6 oz cup of Fenugreek tea at least three times per day. The taste is ehh, and if you drink enough, you end up smelling like maple .:lol:. You can find it at your grocery store or local health foods store. I did try Mother’s Milk tea, but, it didn’t really help with my supply. It does taste better than the fenugreak tea though. I’ve read that you may use Blessed Thistle, and Alfalfa also. If none of those work for you, your doctor can also prescribe something to increase your supply. Speak to your doctor first. 3. Nurse my baby when we both wake up, and right before I leave for work. 5. Nurse my daughter almost immediately after I return home, and nurse on-demand from then on, until she falls asleep. Maintain the same diet as if you were pregnant, only eating an extra 300 – 500 calories per day. Avoid using a bottle or pacifier when home with the baby to avoid decreasing your supply. Your body needs to feel the natural sucking sensation in order to know to continue to produce milk. You also may want to add a few extra minutes (5-10) of pumping after the baby has finished nursing. There are other links for breastfeeding help on my right sidebar, also, if you have any questions you can ask me directly since I am a Medela Mom Maven.